With the current situation in Tibet growing increasingly desperate aid is more needed than ever. 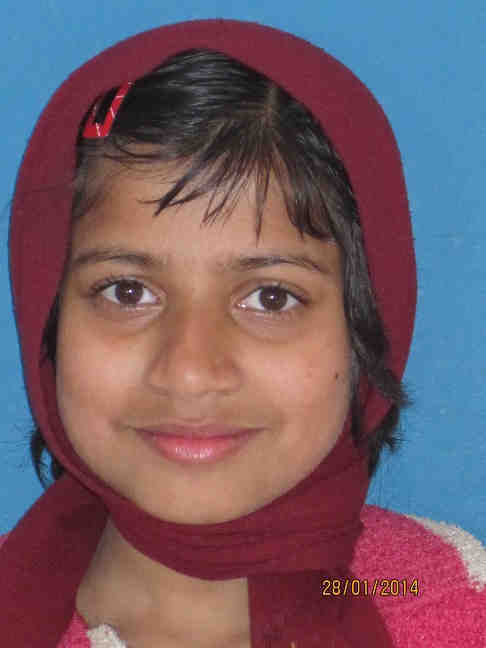 You can help by supporting fugitieve monks and nuns and their monasteries in India and Nepal. In doing so you help support Tibetan-Buddhist culture nearly obliterated in Tibet. Every cent of your donation will be spent on the respective causes! Since 2017 the Tara Foundation is intensive connected with the “Library project” of the Gaden Jangtse monastery. (klick here). The goal of the project is to preserve important Buddhistic texts and to make them open to the public (again). Some texts had to be tracked down after they were lost in Tibet during the cultural revolution. De texts were digitized, old printing errors were corrected and the form was made easier readable. After that the texts were printed in bookform and they were given for free to the monks for study and meditation. 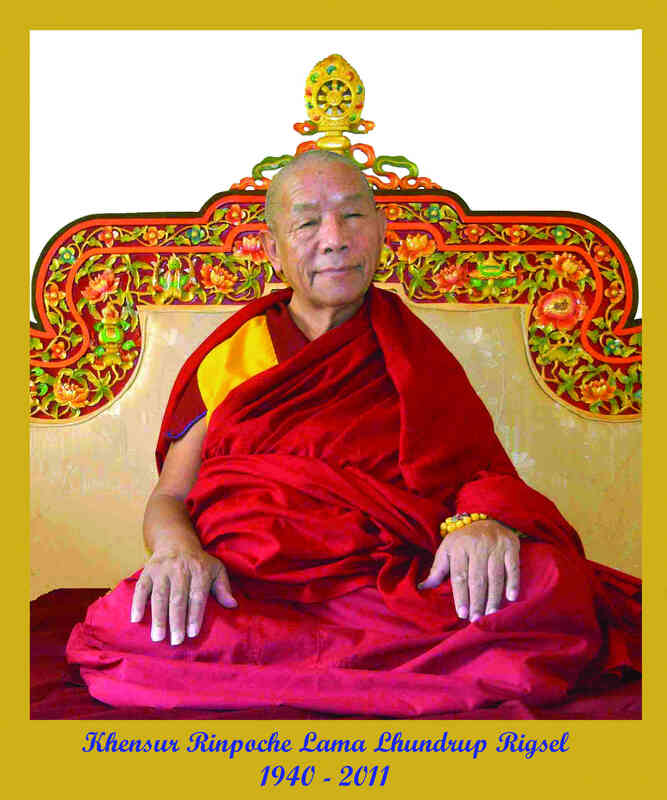 this beautiful project to keep and make available important texts is started by Geshe Sonam Gyaltsen. On the 15. of february 2017 in the Library the intensive cooperation of the Tara Foundation with Geshela and the Library started, as you can see on the photos below. The Tara Foundation is very happy that we can support this beautiful project. In 2017 were 5 important texts for example about philosofy of the middle way was printed in bookform; 2 of them the Tara Foudation could pay the costs for, (just about € 3000,--), we are very happy about that. The publishing of 1 book in 500 copies costs about € 1550,-. There are waiting still 12 very important texts for digitizing and publishing in bookform! It is giving a good Karma to sponsor the preservation of Dharma texts. 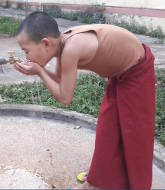 The Losar action in february 2017 was very successfull: the total amount for the watercleaning installation and also for the building we have now: € 3750,--, !We are very happy that the very polluted now can be cleaned perfectly and the monks (and the many children with them) have now good drinking water! 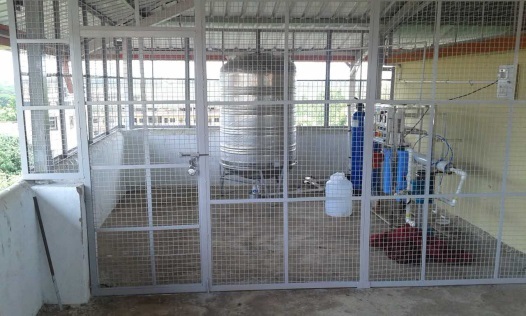 Losar-action:een watercleaninginstallation for Tsawa Khangsten (dutch text). The performance of the Emergency Fund Hepatitis B is taken over by the monastery! Our Emergency Fund Hepatitis B is in january 2016 taken over by the nature medical clinic of the Gaden Jangtse Monestary! The clinic will in near cooporation with the allopathic clinic of the monastery , coordinate all examinations and treatments (allopathic and Tibetan). The clinic will also (on our request) give information about prevention and hygiene. The Tara Foundation takes care of the fundraising. We hope to treat as much monks as possible! At Saka Dawa (21 may) we could transfer € 4579,12 for the treatment of monks with Hepatitis-B! We are looking periodical for sponsoring and donations for this fund! 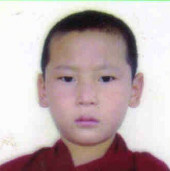 Our hope is not only to get enough funds for treating the ill monks, but also enough for the treatment of ill Tibetans in the surrounding villages! 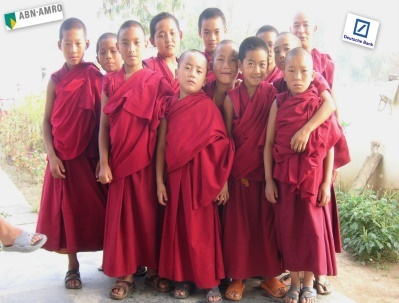 The Tara Foundation works in India and Nepal and is mainly concentrating on the helping of Tibetan refugees in their needs and their monasteries and on the survival of the Tibetan Buddhistic culture. With the helping of the new established monasteries there is a direct contribution of the survival of the Tibetan buddhistic culture wich has almost disappeared in Tibet. 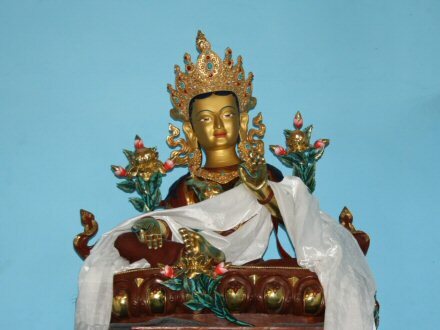 We are now concentrating on the Gaden Jangtse monastery in South-India and on the Kopan nunnery in Nepal. Also we do oftenly on request action for children in emergency situations. In this Losar-month, the month of the Tibetan new year that started on 19th of february, the actions will be more powerful than a 100.000 times. The peak is the day of the Miracles, on the 5th of march. In this successful time we would like to give attention for the waterpump-action for the Gaden Jangtse Tsawa Khangsten. The Tsawa Khangsten is one of the 12 monasteries of the Gaden Jangtsen Monastery in South India and also the house of Geshe Sonam Gyaltsen. It is the biggest and poorest monastery with more than 500 monks. Tsawa Khangsten not only took in many refugees but also hunderds of very poor children from the borders of Tibet, because their parents couldn't feed them anymore. At first there were only dilapidated little houses where the rain was leaking though. 15 Years ago at another place a new building was build, nowadays there are living hunderds of monks, the new Tsawa Khangsten. Recently there is build a new building with a prayerhall with rooms for many monks. Although much is better, there is still a big need. Like the shortage of water. This is most pressing in the old Tsawa Khangsten, with the many mostly uninhabitable little houses. There is a waterpipe to the new Tsawa Khangsten wich is situated on the other side of the road on a different place. But because of the shaking caused by the traffic and heavy rains the pipes are damaged oftenlyand then the old Tsawa Khangsten has no water.The pumps can't supply both parts of Khangsten with water. That situation is dangerous for the fragile healthsituation of the monks. The refugees and the dumped children oftenly have a bad healthsituation and there is also an almost epidemical form of Hepatitis B in the monastery, many monks have suffered of that. With no water that is very worrisome. Another waterpump like this is required. That's why we ask for your help to raise money for a new waterpump. The costs for a new pump are € 1750,- we are hoping for your support. The waterpump is installated recently! It happened just before Losar, the Tibetan Newyear, wich started on the 9th of february. Astrological it was not good if the pump would be installated in the new year. But luckily the money came in in time, although in the mean time the amount necessary was risen until €2700,-. All monks are happy, because now there is enough water for everybody. We hope with this the health situation of the monks will get better. (click here for a video of the moment the water was tapped.) General help for Tsawa Khangsten is still urgently for the care of the many refugees and children and the redemption of the loan for the new building. 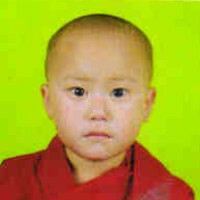 Also we are looking urgently sponsor for the (child)monks of Tsawa Khangsten, we can help the whole monastery with that help. 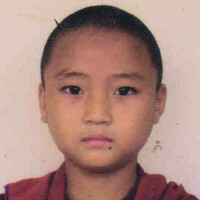 Click here for the Losar action for a waterpump for Tsawa Khangsten and how you can help Tsawa Khangsten. Many many trhanks to the donators, after the mansoon the pump can be installated. Other big problems of Tsawa Khangsten are the taking care of the livelihood of the newcomers, specially the hunderds of children. Creating new places for them en the new community-facilities is costing an almost unbearable debt.A big amount of money had to be loaned to finish the building of the required prayinghall with rooms for many monks. (In the old building there was only place for 200 of the 500 monks). 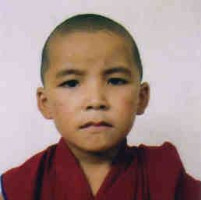 You can help Tsawa Khangsten with a general donation or you could sponsor a (child)monk. For example one of the monks you see on the photo. It is also possible to choose monks on our website. You can donate your money to NL29ABNA0431292981. Name: Tara Foundation Balkbrug. Your whole donation is used and are deductable of taxes. The costs for the3 foundation are payed in private by the board members. More information you find on the website. The Kopan nuns health project is a big succes!Until now we raised €10.424,14. From this money a Tibetan speaking doctor can have consultinghours in the nunnery and are 3 nuns educated as preventionworkers/teacher hygiene to give lessons in their own nunnery. The re4sult of The action for the AIDS orphans is until now € 4.542,-, the half of that amount is a periodic gift. 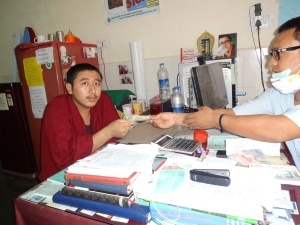 The emergency fund for Hepatitis B for Gaden Jangtse already treated 11 serious ill monks,and 1 nun. They will cooperate with the Tibetan healthcare clinic of the monastery to help more serious ill patients, also lays with traditional Tibetan healthcare. almost directly after it was published a new sponsor reported himself, we want to thank him heartly. Unfortunately we cannot thank the sponsors wich we only know from the bankstatements. On the statements the adresses are not published anymore. We ask the sponsors who don't hear anything from us, to get in contact with us. The action, in cooperation with the buddhistic aid organisation Karuna-Shechen, has been a big succes! We collected € 6645,38 for medical and other emergency help, special for the remote aereas and worst hidden aereas. Many thanks to all the contributors!! Click here for the action email of 1. may 2015. Now we're going to focus on the Kopan nunnery in Kathmandu, where there is an enormous damage. Later in the year we hope to organise a special action for this purpose. Click here for more information about the damage in the nunnery and how you can help. We reached the total amount of € 2750,- for the waterpump! Thank you very much for this! After the mansoon the pump can be installed. Click here for the action email for the waterpump. Tsawa Khangsten has a difficult time because it has to take care, except for the many refugees, also for hunderds of children wich are left alone by their poor families and brought to the monastry. Tsawa Khangsten is also seriously affected by the loan for the necessary new construction to give all new arrivals a place. 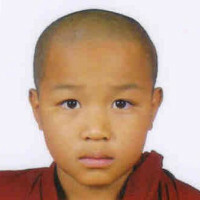 -by giving a donation for the livelihood of the little monks or for the installmentof the loan. - by sponsoring a monk. This is one of the best ways of help!
. Click here for more info and the 'Thank you letter' of the 12monks and a nun. Result: 12 monks and a nun who are seriously ill get a treatment now. We are still looking for sponsors starting from 5 Euro a month, to help also other monks who are seriously ill! Action: New healthcareproject for the Kopan nuns. Result of this action: E 7666,64 from which a big part is periodical. A female doctor could be appointed, she can have consultinghour in the nunnery and she is training 3 nuns to become health community- and health- education workers! Also there was some money left for the inventory and facilitiesof a treatment room and for medicines! Donations stay necessary for the progress of the project! Result for the hospital: E 1660,-- with this money the oxygen cylinder of E 1000,-- could be bought! Extra email: Explain why the number of our bank-accout was changing. Result of the action: E 561,93 The action is still open. Last year a lot of sponsorings were stopped. 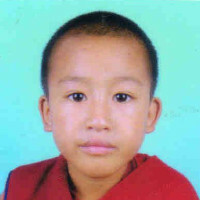 But the sponsorings are needed for Tsawa Khangsten to take care for the hunderds of childmonks. (Click here for the action-email of 23 juli 2012). Result of the action: 3 new sponsorings. We still need urgently sponsors! (click here for the action-emailof november 2011). For this action € 3822,51 came in. Donations for the new prayer-hall are still welcome! This Saka Dawa action was focussed on help for the nuns because of a widely spread Heliobacter Pylori infection in the monastery. (Click here for the action email of may 2011). The action was a great succes! students of the Kopan november-course took over the project. After that there was enough money for all nuns of Kopan and Tsum, and even all monks of Kopan monniken to do a checkup and treatment. After this succes the project was finished! Name of the Bank: ABNAMRO). All other data remain unchanged. Deutsche Bank aquisition of our former bankaccount led to a twelvefold increase of banking costs for us. We therefore have chosen ABN AMRO as our new bank. This in turn unavoidably came with a new bank account number. We apologize for this inconvenience. (For more information about the campaign of November 2011: Click here). The campaign totally raised € 3822,51. (Click here for the action email of mai 2011). )This action has been a tremendous succes! After in a short time the Tara Foundation gathered already € 3452,50, also the students of the Kopan meditation course of november 2011 supported the project. After that moment there was enough money for testing and treating all nuns and even the monks of Kopan! Therefore this project is ended succesfully!